AANP is honored to give awards to its outstanding members and NP thought leaders. Explore the award opportunities below. 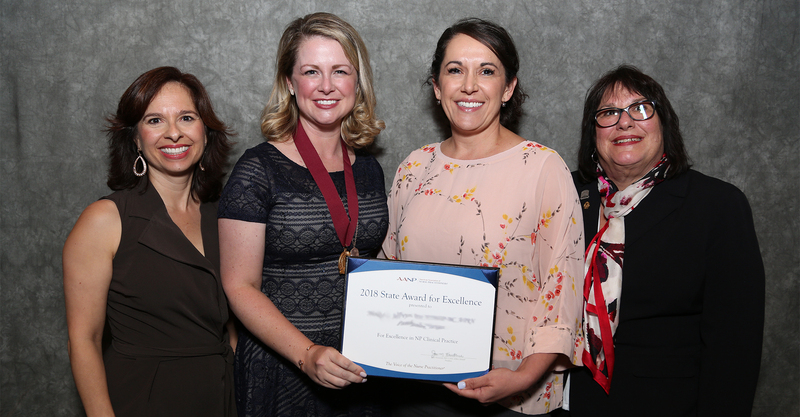 Presented annually to one NP and one NP advocate in each state, the State Award for Excellence recognizes excellence in NP clinical practice and significant contributions toward increasing awareness and recognition of NPs. These two awards—the Towers Pinnacle Award and Sharp Cutting Edge Award—honor individuals who have contributed significantly to the national recognition and advancement of NPs.